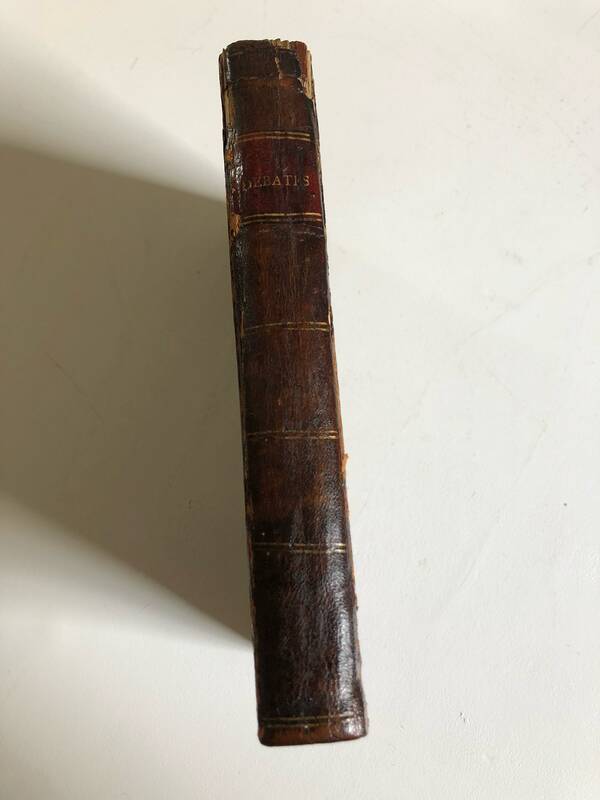 Scarce, historic, and important book at the founding of the United States of America bound in leather by Adams and Norse, Boston, 1788. 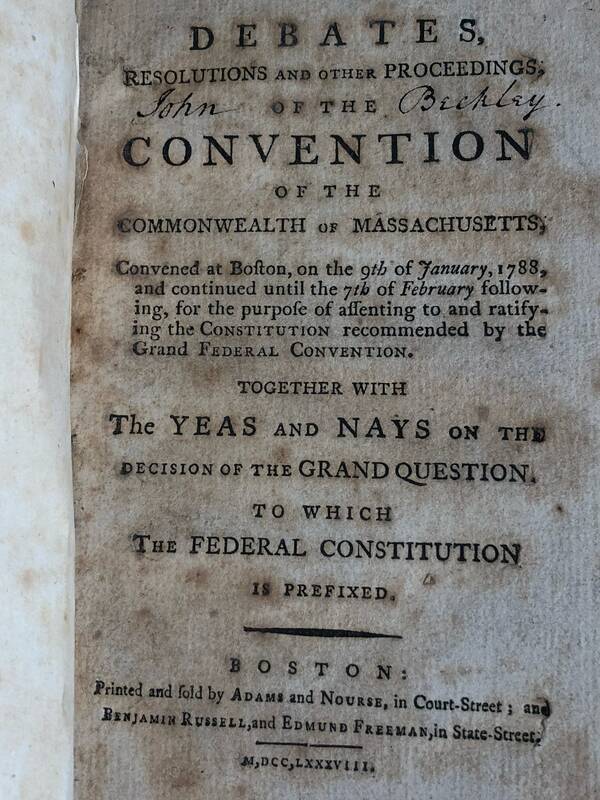 This book provides the official record of the debates that occurred in the Commonwealth of Massachusetts prior to the founding of our country with the later adoption of The Constitution. 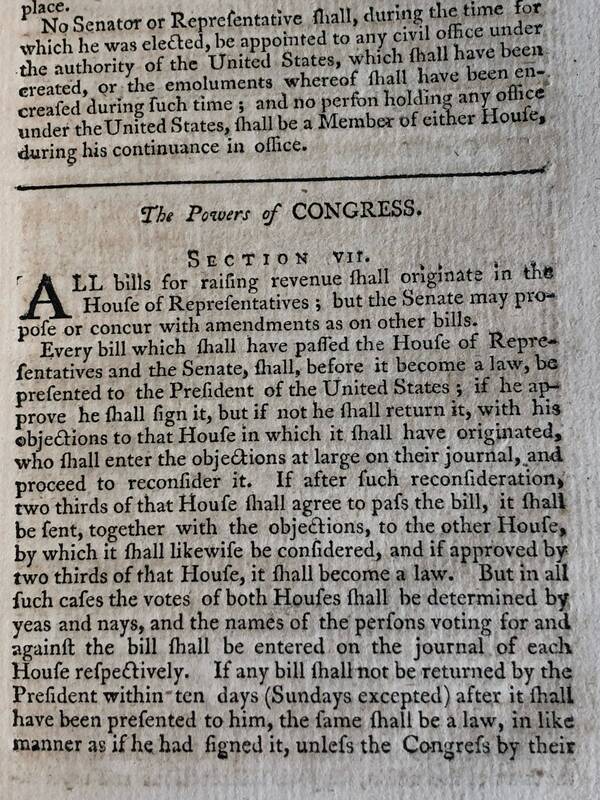 It was during these debates that the first amendments were proposed. 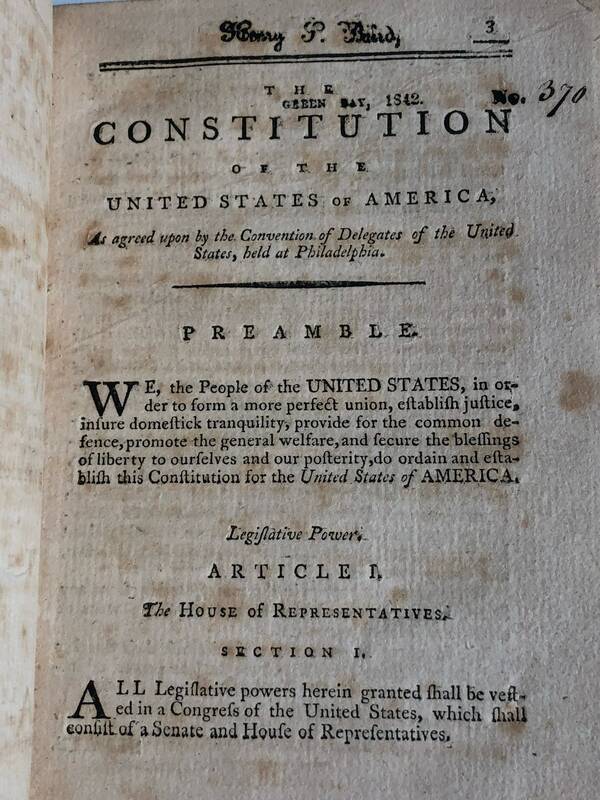 This copy belonged to Levi Lincoln who was the Attorney General of Thomas Jefferson. We know this, because the book is inscribed from 'L. 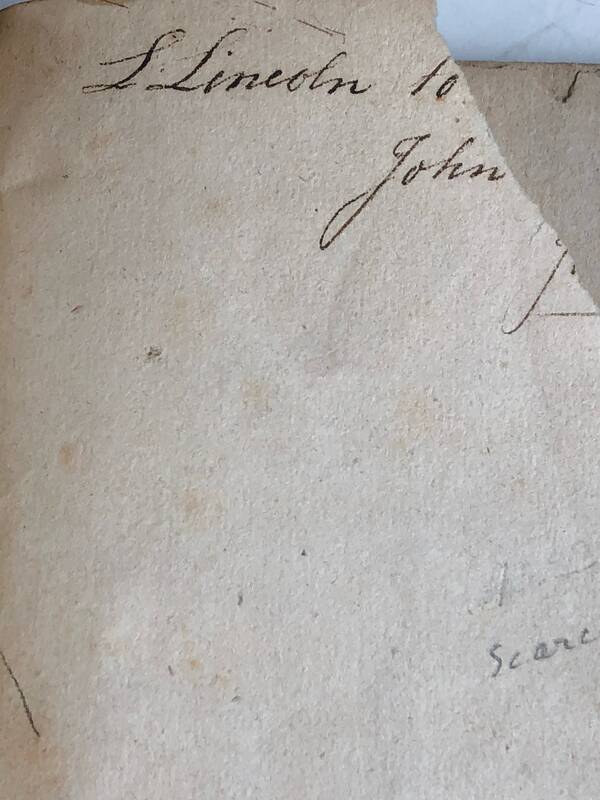 Lincoln' to John Beckley in the hand of Lincoln (comparator signature at Wikipedia entry for Lincoln). John Beckley, a personal friend of Jefferson, was appointed to become the first librarian of Congress among his many other roles in our young nation's history. The book was later owned by early settler, Henry S. Baird of Green Bay. 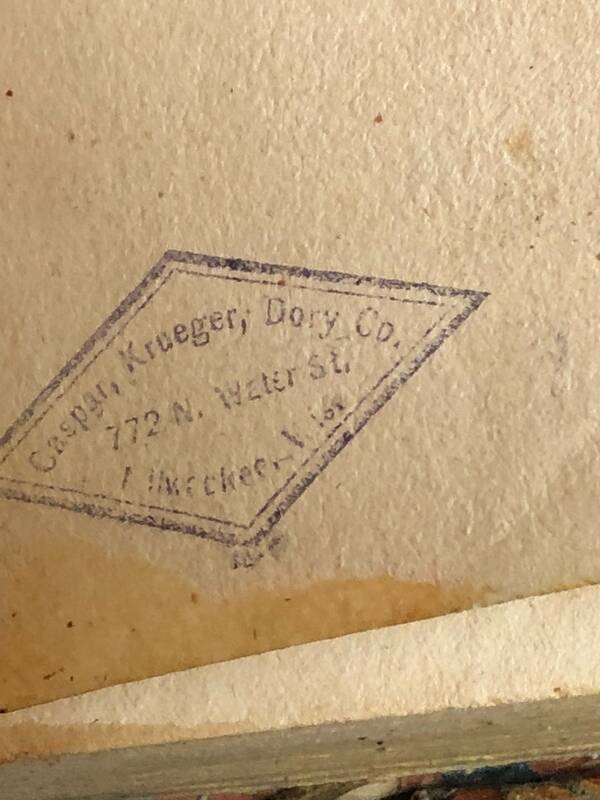 Then the book has a stamp from Casper, Krueger, Dory, & Co. of Milwaukee. 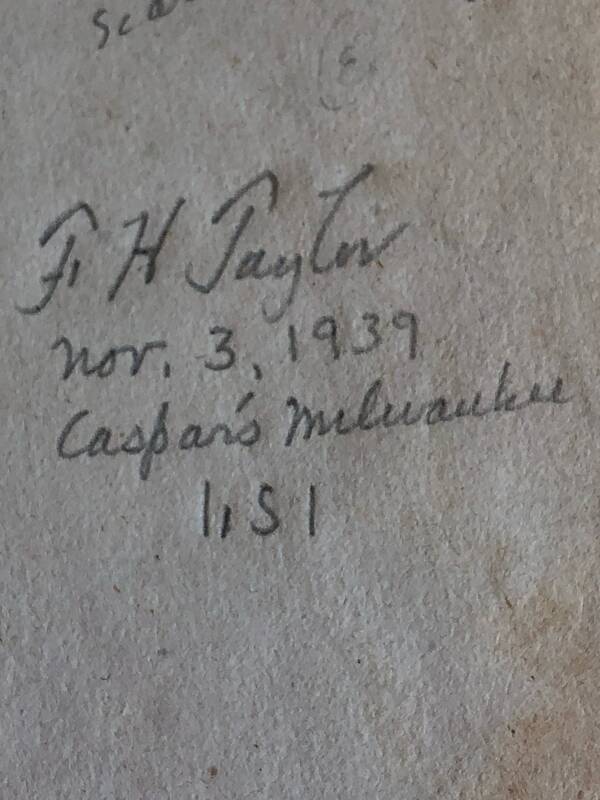 Finally, in 1939, F H Taylor acquired the book in Milwaukee. Most recently, the book was auctioned in Ohio and purchased by Crescent City Connection of Washington, DC. 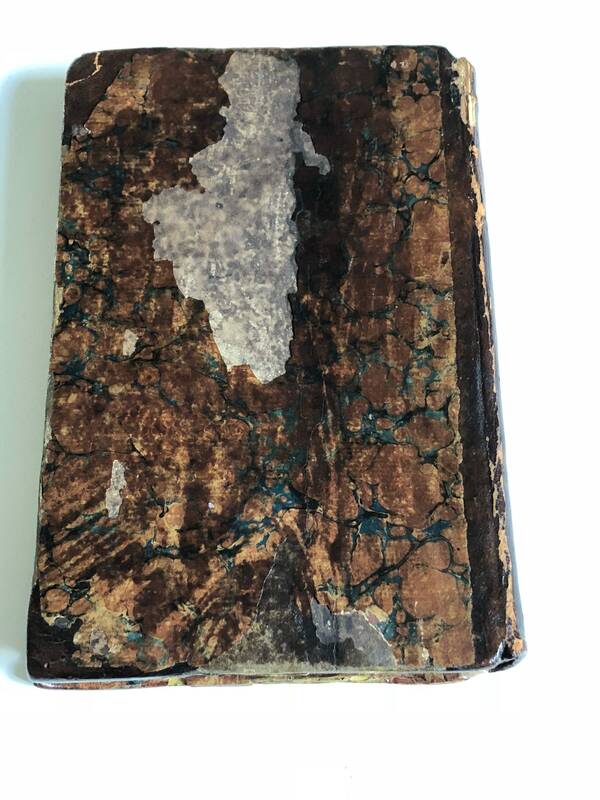 This exceedingly scarce book (Jefferson's copy is in the Library of Congress for example) is in fair shape with wear commensurate with age and heavy use. 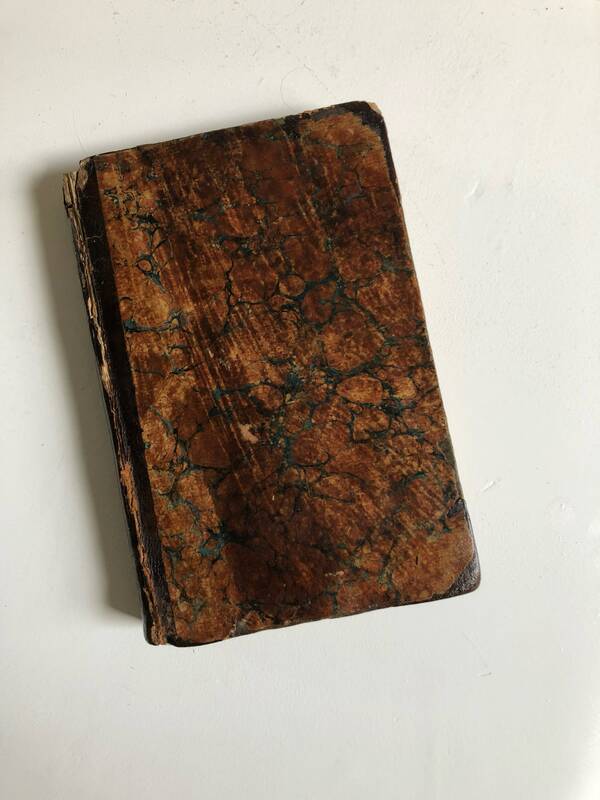 Typical minor bumps, scuffs, and wear as well as browning to the hand laid pages. 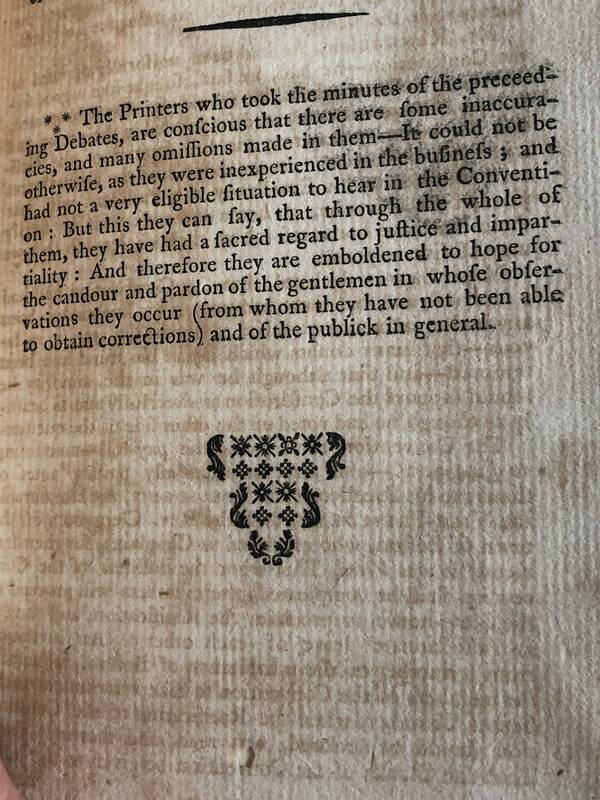 Binding is weak and cracked but the text is very bright and clear. I hate to sell this book that I will never see again. No export of this book. Shipping is only to the United States of America.